During the month of December the blog world lights up, like a Christmas tree, aglow with “Best Of” lists and predictions for the new year. 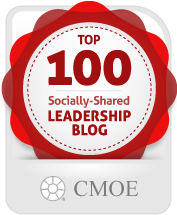 The People Equation even scored a nod this year with DDI World’s 20 Best Leadership Blog Posts for 2010. Of course, these lists are highly subjective and many people discount them. There is one list that I vouch for 100%: those who have influenced this blog. I started The People Equation Influencer “awards” last year and found it was a great way to review the blog’s progress and simultaneously give thanks to those who’ve helped shape it in one way or another. So, without further delay, here are the awards for the 2010 People Equation Influencers. Please hold your applause until the end of the presentation. Most Encouraging: Erin Schreyer. Erin is a fellow leadership development consultant. Some might say that we’re “competitors” but that’s not the case with this supportive dynamo. We share ideas and challenges, bouncing ideas back and forth. Each time we talk, I have an “aha!” moment and come away energized and ready to move forward. Erin is a role model for professionalism in our field and she inspires me to do my best—including on my blog. Most Informative: David Brand. Dave is a Learning Specialist for the 3M Corporation. I admire his insatiable curiosity for learning. He’s a walking library of information about the leadership development field, consistently researching best practices and reading the latest literature. Many of the offline conversations I’ve had with Dave have served as inspiration for blog posts. The Blogging Role Models: (Tie) Dan McCarthy and Sharlyn Lauby. I had a hard time choosing, so I didn’t— I confer the title to both of these excellent bloggers in the talent management field. Dan is the author of the leadership development blog Great Leadership. Sharlyn is the creator of The HR Bartender, which focuses on issues in Human Resources, leadership and training. Both blogs are deserved winners of numerous awards. What I admire most about Dan and Sharlyn is how they steer away from the hyperbole that pervades the blog world and instead provide practical, factual information for professionals interested in the people side of business. The Conversationalist: Kevin Grossman Hands down, Kevin, has been the most frequent visitor to The People Equation, offering clever commentary with a dose of humor. The guy is everywhere online, which garnered him the #1 spot on The HR Examiner’s Top 25 HR Digital Influencers 2010. The Conversationalist: (Honorable Mentions): Roy Atkinson and Susan Mazza, who were tied for most comments (after Kevin) on the blog. Roy and Susan have been very supportive of my professional efforts, on the blog and in person. They both bring a very unique perspective to the digital space, offering an alternate viewpoint that adds value to the conversation. The Gardener: Jane Perdue. My heartfelt thanks goes out to author and fellow leadership consultant Jane for providing the “seed” of a blogging project that grew into so much more. You can read about that project here. The Informal Leader: Mike Henry. Mike’s name appeared last year in the Big Thinker category for instigating a leadership “revolution” through the Lead Change Group. The group continues to grow and attract a diverse range of people dedicated to character-based leadership. Mike is a wonderful testament to how to provide leadership without a title; he’s also provided me with counsel on blog administration. The Instigators: Trish McFarlane, Shauna Moerke and Lisa Rosendahl. This trio of get-it-done women has my vote for influencing The People Equation via their blog the Women of HR, which they launched this year. I’m grateful to them for the opportunity to contribute to the Women of HR, allowing me to develop a different aspect of my writing voice, which in turn strengthens the writing on this blog too. The Technology Magicians: Mike Devarenne, Darcee Sellers, Rick Harlow, and Alexia Petrakos. It takes a village to keep a blog running and each of these individuals has lent their unique technical expertise to the development of The People Equation. I vastly admire their behind-the-scenes technical wizardry that allows me to focus on my passion— writing. Thanks, guys! So that wraps up this year’s awards ceremony. If you’re intrigued by any of these folks, be sure to follow them on your social media platform of choice. I’ve created a link to their blog (or profile) in the hyperlink of their name so that you can check them out. I look forward to yet another year of learning, growing and being influenced in the coming year. What about you— how will you be an influencer in 2011? Read The People Equation Influencers 2009 list here. Thanks so much for including the Women of HR! We are so happy you are a contributor! Delighted to be included, thanks ever so much. Getting your BIG on is all about helping people grow, so the gardener category is quite appropriate! It felt wonderful to read names of people I read, converse with and am sharing ideas with from a leadership perspective. What a warm and loving blog – a mark of a great leader. Thanks, Jennifer! @Shauna– what you, Trish and Lisa (and several others) have started with The Women of HR is amazing. Glad to be a part of it. @Georgia– Thanks for your kind words. You know, your comment has prompted me to review this list with a different perspective. . .I now realize that many of the people mentioned are in some way affiliated with the Lead Change Group. Hmm…. When I think of you, “gardener” just seems to fit. Glad you think so too! Next post: Do People Care About Leadership Development?